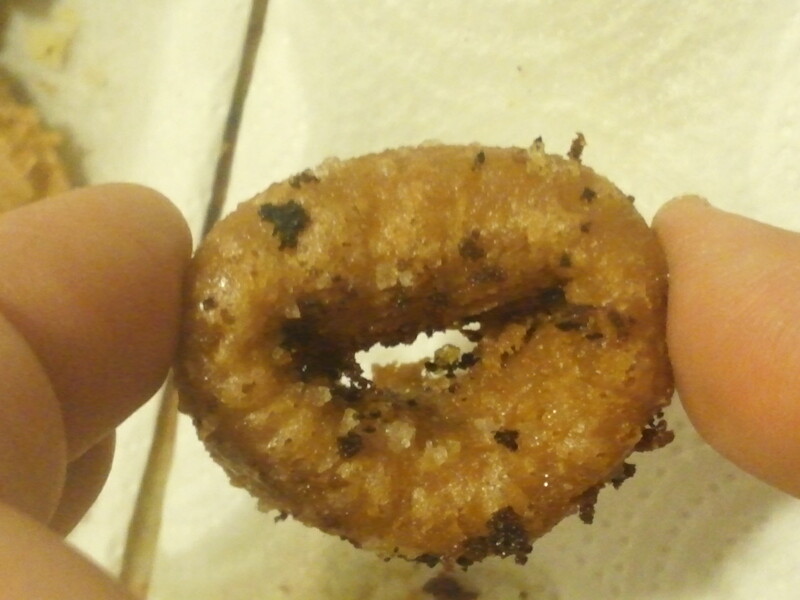 After our first attempt at deep frying printing cookies using batter, we wanted to give it a bigger shot and test a little bit more this post processing cooking technique. We wanted to test a more diverse set of shapes to observe how the hot oil bath affected to them. First we did double check that the batter was the mix that avoid cookies melting. Easy test no batter = melted, with batter holds the shape. 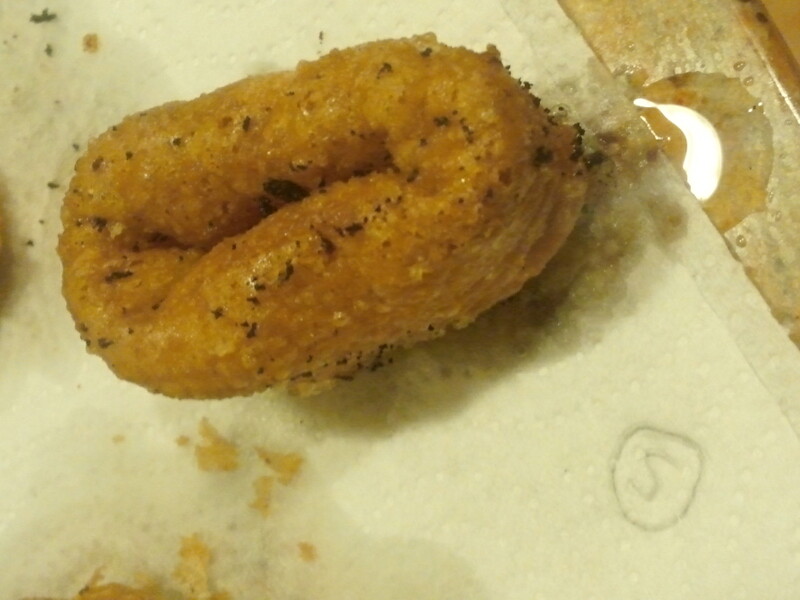 Even if the cookie has been battered any crack of the overlaid batter during the deep fried process might allow the inside of the cookie to scape (melting and leaking) before cooking. 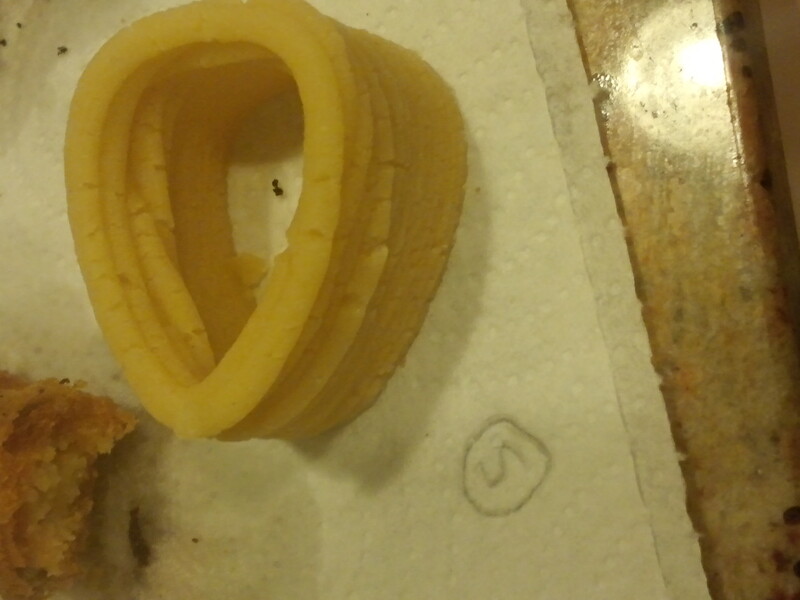 That is why with some of the tests ended up with a cookie-batter shell for some parts of the print. Another important point is that the shape swims freely, thus is hard to keep accuracy (+/- mm) because the bath deforms the print. This is quite obvious in the next pictures. In the previous pictures is observed how the oval shapes turns into a flatten circle. For this test the cookie was put in the oil and let it swim freely. 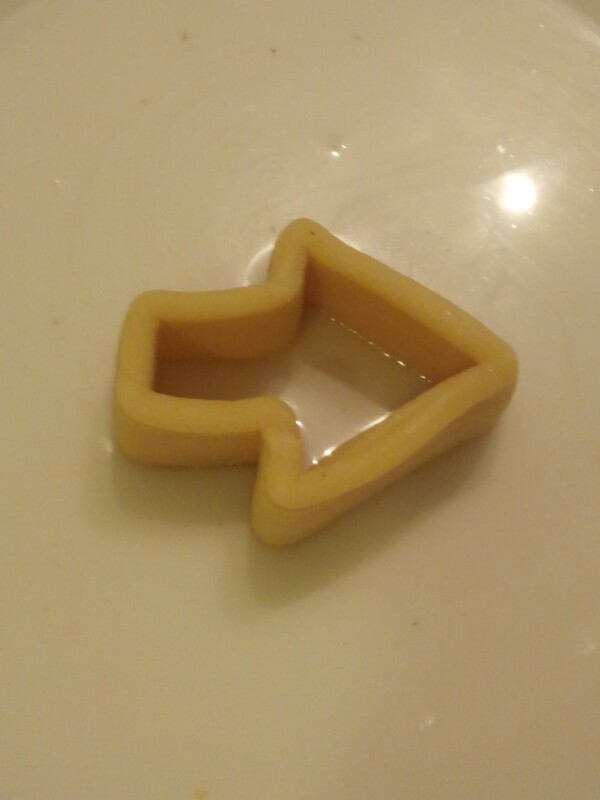 Our guess, the water boiling from the cookie surface pushes and forces the cookie to move and deform. 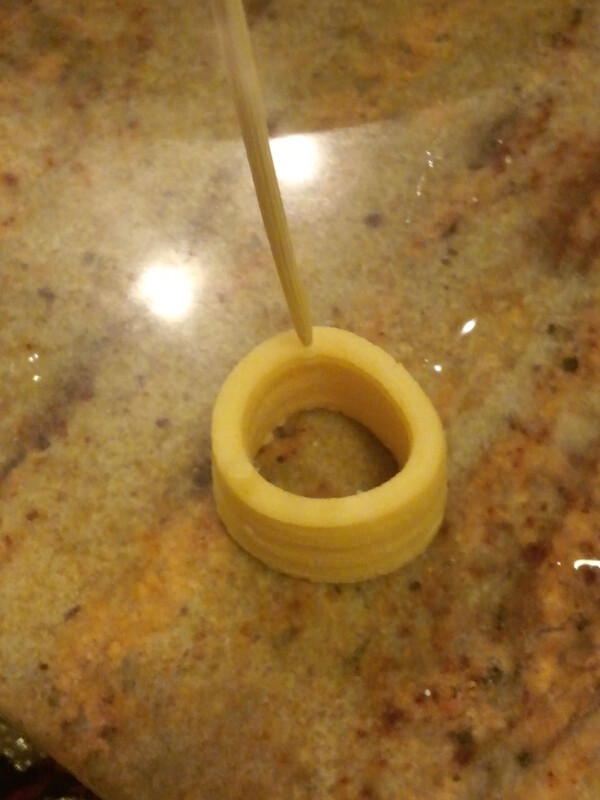 To solve that first we tried a dipping the cookie using a wood stick. Forcing the cookie to stay “still” during its bath. We got some better results, meaning not getting a flattened design. After that we tried using a spatula. 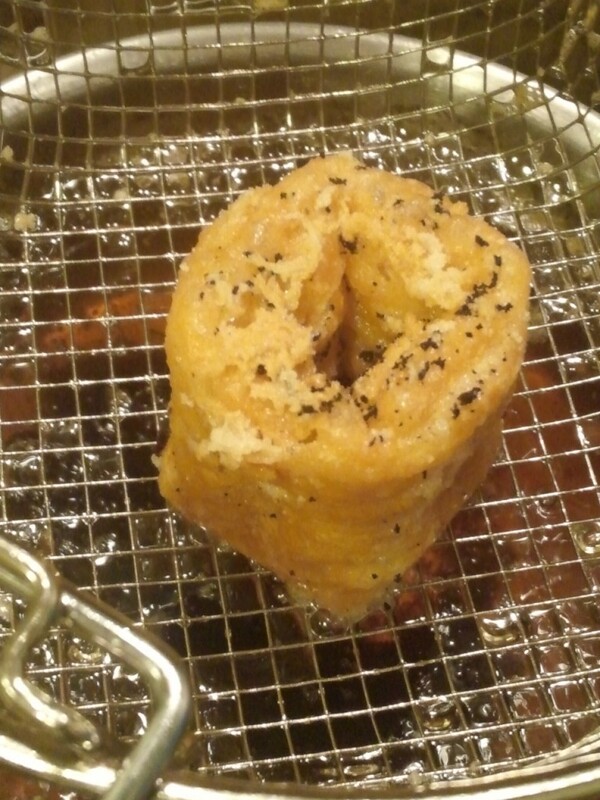 And finally a deep fryer wire basket (best one). 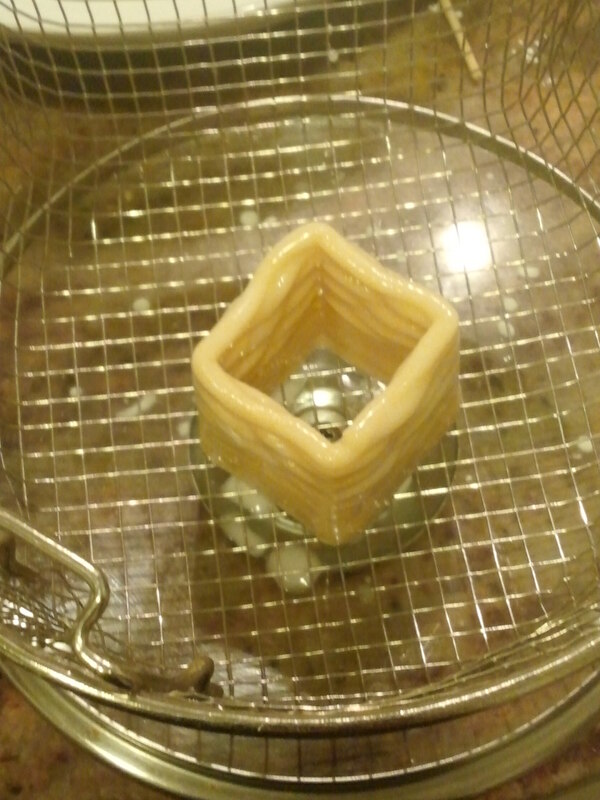 The square shape and the arrow were deep fried using the wire basket. Results were much better specially for the arrow. 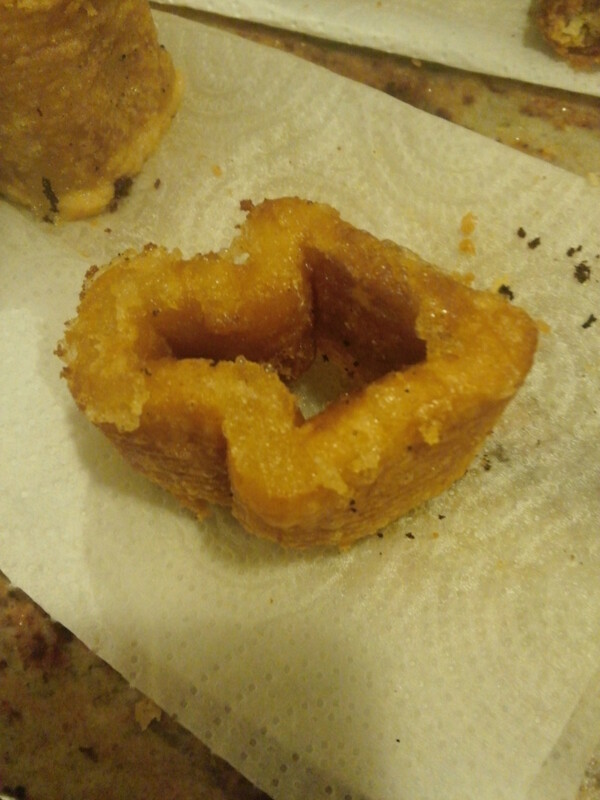 3D printed frozen cookie dipped into batter and deep fried works. 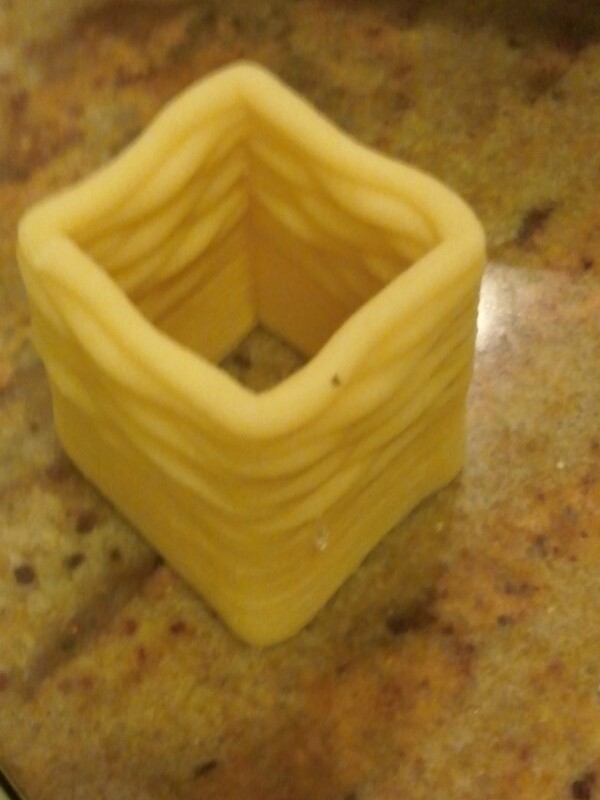 We are not going to say is the best digital cooking technique, due to lack of control, consistency and accuracy for the prints. But still is better than flat cookies ;). Despite the general opinion we do not think deep fried cookies taste bad, they have a crumbly texture, with a crunchy outside. Obviously the type of oil, temperature and how dirty it is has a major IMPACT. at 3DC we are committed to get a 3d printed cookie recipe that can be baked, so we will proceed on that line even though is try new things.